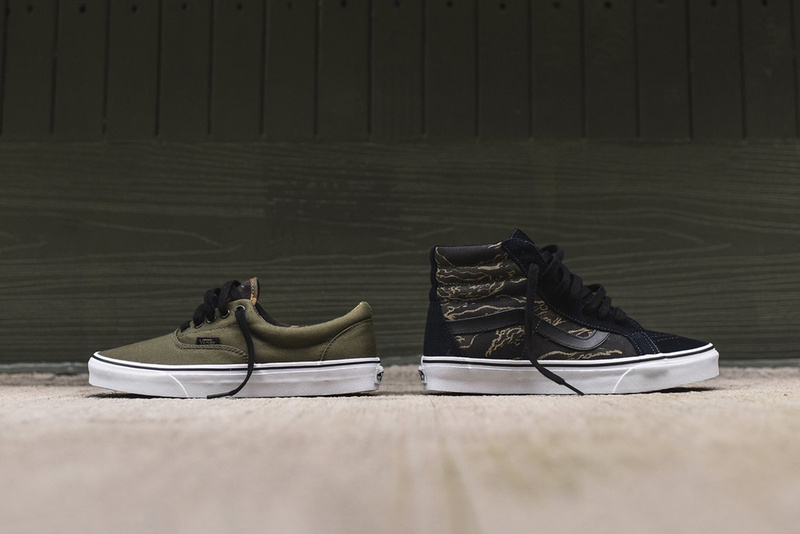 Camouflage-covered sneakers aren’t going anywhere anytime soon and, like the Air Force 1 this month, the Sk8-Hi and Era are getting in on the action as Vans presents its latest pack of kicks. Opting for tiger camo specifically, the two designs employ the pattern in different ways. While the Sk8-Hi boldly applies the look to the majority of its upper, the Era instead sees the pattern on its lining alone while an olive drab exterior preserves the military-inspired vibe. Finished with black accents throughout, the Sk8-Hi and Era are available now from KITH for $70 USD and $55 USD, respectively.